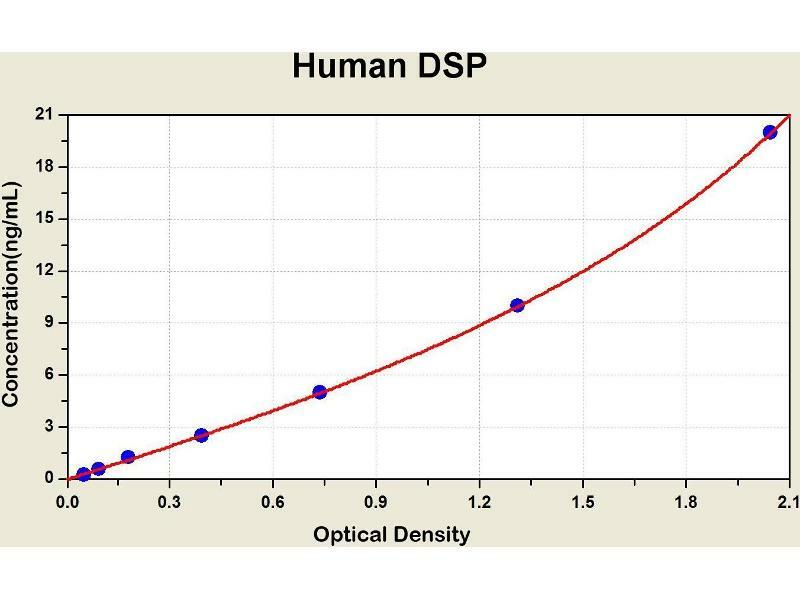 Diagramm of the ELISA kit to detect Human DSPwith the optical density on the x-axis and the concentration on the y-axis. Desmosomes are intercellular junctions that tightly link adjacent cells. 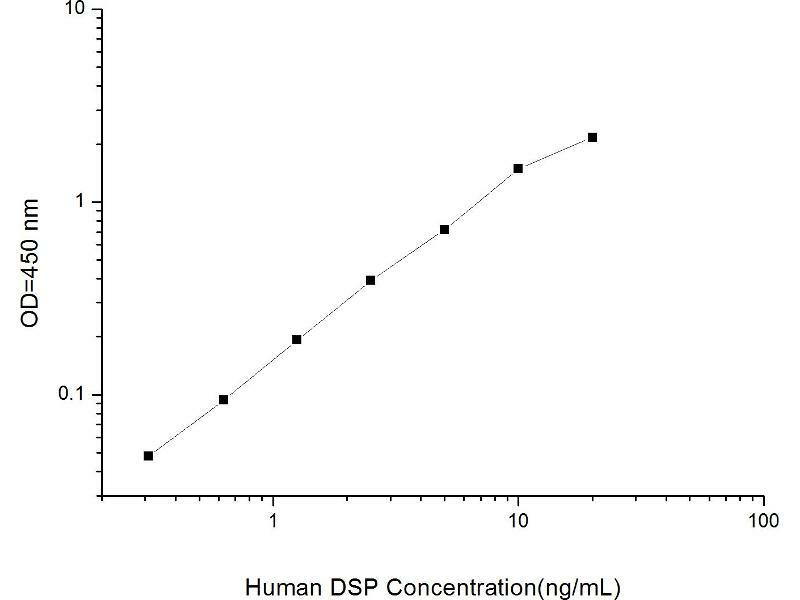 Desmoplakin is an obligate component of functional desmosomes that anchors intermediate filaments to desmosomal plaques. The N-terminus of desmoplakin is required for localization to the desmosome and interacts with the N-terminal region of plakophilin 1 and plakoglobin. The C-terminus of desmoplakin binds with intermediate filaments. In the mid-region of desmoplakin, a coiled-coiled rod domain is responsible for homodimerization. Mutations in this gene are the cause of several cardiomyopathies and keratodermas as well as the autoimmune disease paraneoplastic pemphigus.